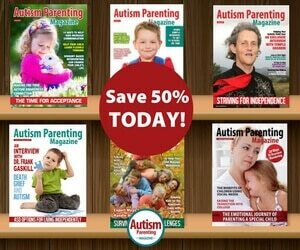 In celebration of Autism Awareness Month, Autism Parenting Magazine connected with Sesame Workshop as we share the same goal: autism understanding, awareness, and acceptance. 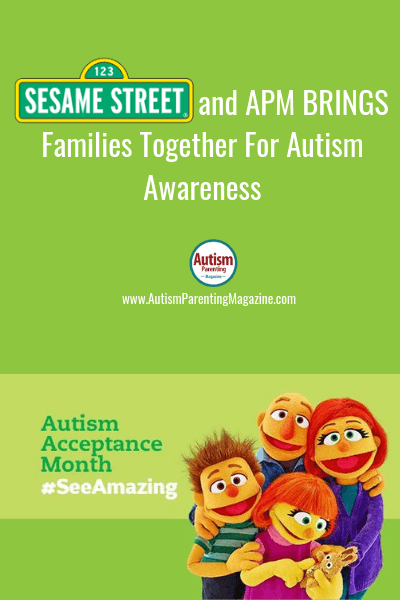 Take a look as Sesame Street highlighted an APM exclusive Special Mom and Son Time: Talking Heroes and Muppets about a mother and son who shared precious time discussing the need for awareness including the value of a special Sesame Street Muppet with autism named Julia. 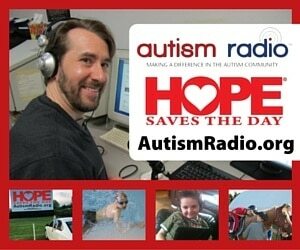 Well, the news keeps getting better as Sesame Workshop launched new videos and materials this month featuring the family of Julia, a 4-year-old Sesame Street Muppet, as part of its Sesame Street and Autism: See Amazing in All Children initiative. 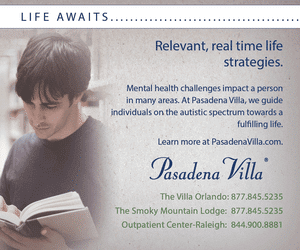 New resources, freely available in English and Spanish on http://autism.sesamestreet.org/, bring to life Julia’s parents, big brother, and companion dog, and focus on what all families share in common while providing tools to help overcome everyday challenges. Additional resources focused on bullying, which disproportionately affects children with autism, featuring Julia as an upstander in a bullying situation, promoting kindness and empathy.